Okay, entrepreneurs and venture capitalists, here are two words that can help your investment in a startup business succeed: direct flights. A new study co-authored by an MIT professor shows that venture capitalists do help startup firms by closely monitoring their development, and that the availability of direct airplane flights between the two parties helps improve that oversight. Indeed, the introduction of a new airline route directly connecting venture capitalists to fledgling companies in which they have already invested leads to a 3.1 percent increase in the patents those firms are granted, as well as a 5.8 percent increase in the citations those patents receive—compared to equivalent cases where similar investments are made but direct flights never become available. "The effect is that those companies become more innovative," says Xavier Giroud, an associate professor of finance at the MIT Sloan School of Management. The research examines nearly 23,000 startups that worked with more than 3,000 venture capital firms over a 30-year period. The study took into account regional economic trends, to make sure that the successes of startups and the introduction of direct flights were not both themselves the consequence of larger economic developments. The paper detailing the study, "The Impact of Venture Capital Monitoring," will be published in the Journal of Finance. The co-authors are Giroud, who is the Ford International Career Development Professor of Finance; Shai Bernstein, an assistant professor at Stanford University's Graduate School of Business; and Richard R. Townsend, an assistant professor at Dartmouth's Tuck School of Business. Venture capitalists (often called VCs) usually provide critical early-stage funding for startup firms across a variety of high-tech industries. This paper addresses a long-running question in the business world: Do venture capitalists actually improve the operations of the firms they back, or are they just identifying startups that are destined to succeed (or fail) in any case? As Giroud acknowledges, it has long been "an open question whether it [VC involvement] is something that adds value." Answering in the affirmative, the study zeroes in on cases where direct flights were introduced between areas in which VCs and startups had already established their business relationships. That meant the researchers could compare, on aggregate, two kinds of startups, separated by one variable: Startups whose VCs began working with them more closely during the period of investment, due to the easier travel that became available; and startups in which the VCs remained consistently less involved. 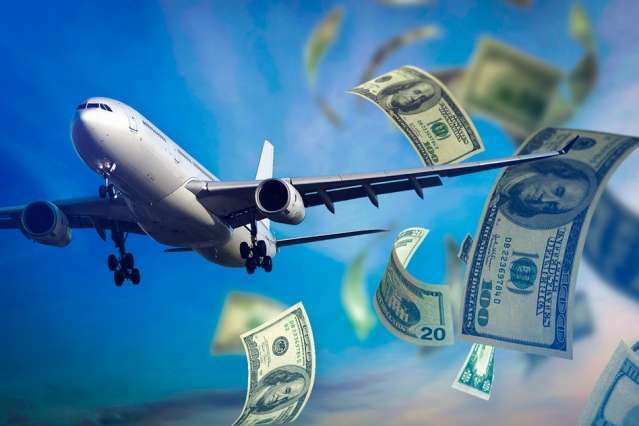 To conduct the study, the researchers employed data from three separate sources: the Thomson Reuters VentureXpert database on VC investments, the National Bureau of Economic Research Patent Data Project, and Department of Transportation data on flights. The three data sets overlapped from 1977 through 2006. Giroud, Bernstein, and Townsend also conducted a separate survey of 306 venture capital firms to see if the presence of direct flights increased the amount of contact VCs had with the start-ups they had invested in. About 86 percent of the respondents agreed that direct flights allow VCs to spend more time monitoring the firms in their portfolios. The scholars were conscious of the possibility that regional economic conditions may also affect the distribution and success rates of start-ups, and they adjusted their findings to take into account the annual economic trends of each metropolitan area in question, using the same definitions as the U.S. Census Bureau. That helped them conclude that VC monitoring matters, and that the relative success of start-ups at different times and places was not simply driven by external factors, such as a local economic boom that might also lead to more direct flights. The consequence, the researchers write in the paper, is that "pre-existing trends are not driving our results." The study also found that startups connected to their VCs by direct flights are also 1.0 percent more likely to issue a public stock offering and 1.4 percent more likely to have a successful "exit" from their start-up incarnation, via public stock offering or acquisition by another company. "They are more likely to have a successful IPO," Giroud notes. All told, the study examined 22,896 startup companies and 3,158 VC firms. Among other things, they found a wider dispersion of both startups and VCs than the popular image might suggest. About 50 percent of startups and VCs in the study were located outside of Northern California, New England, and New York, the three areas most commonly associated with high-tech startups and investors. "There are entrepreneurial firms all over the place," Giroud observes. For his part, Giroud also suggests at least one local or regional policy application of the findings: Lobby for more connections between your nearest airport and the rest of the world. "Suppose you want to promote entrepreneurship in a given area," Giroud says. "One policy could be to promote the availability of [more] direct flights between the area and VC hubs."